Brooke School sent three teams to the UKCA National Schools Cheerleading Championships on June 23. KS2 Brooke Allstarz once again defended their National title, with the KS3 Twirlybirds and the KS5 Shooting Stars battling it out with stiff competition to both pick up second place in their categories. 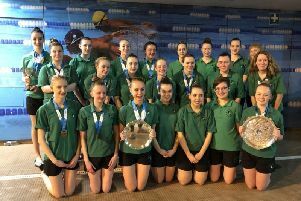 Three days later they went to the Midland Schools Championships in Coventry where the Allstarz and Shooting Stars retained their titles and the Twirlybirds finished runners-up. Amazing achievements once more for these incredible teams from Brooke School.